Latest developments, new insights and knowledge derived from speciation analysis in one unique compilation: The reader gets acquainted with relevant instrumental as well as application aspects of metallomics approaches, paving the road to understanding fate, pathway, and action of metals in environment and organisms. Upon an introductory chapter on analytical methods and strategies, the full bandwidth of applications is discussed. 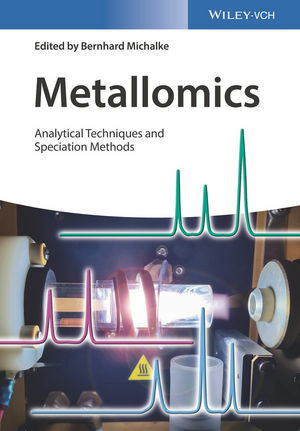 Expert chapter authors cast spotlights on recent topics such as metallomics applications to environmental and nutrition studies as well as biology and medicine. Special chapters deal with the impact of manganese and iron on neurodegeneration, and the impact of nanoparticles on health. Bernhard Michalke is leader of the research group "Elements and Element Speciation" and of the "Central Inorganic Analysis Division" as well as deputy director of the research unit "Analytical BioGeoChemistry" at the Helmholtz Center Munich - German Research Center for Environmental Health. Since 1996 he has been lecturer at the Institute of Analytical Chemistry and Food Chemistry of the Technical University of Graz, Austria, where he received his habilitation in analytical chemistry in 1999. Since 1988, he is principal researcher at the Helmholtz Center Munich. His reasearch interests encompass speciation projects related to environmental health, i.e. the exposure and chemical speciation of neuro-degenerative elements such as manganese and species related neuro-toxic effects in the central nervous system. He has published more than 170 peer reviewed articles and 10 book chapters. Since 1998, he has been co-organizer of several international conferences.